I’m pretty excited to be back on my home turf to perform a live reading at Creaticity: Lowell Art & Maker Festival! I’ll be going on at 3:45 p.m. sharp, so stop on by! I’ll have prizes for a few lucky attendees! And did I mention that there’s going to be a TON of local literary talent there, from a variety of genres? Seriously. Our combined weight is over a ton. Ursula Wong, David Daniel, Stephen O’Connor, and Rob Smales are just a few the writers you won’t want to miss! Check out the performance schedule at: creaticity.org! Shop from over 70 artists’ booths, delight in live performances on the stage and in the street, participate in workshops and an interactive public art project, relax and listen at our writers corner, enjoy informative public art walks, and more. 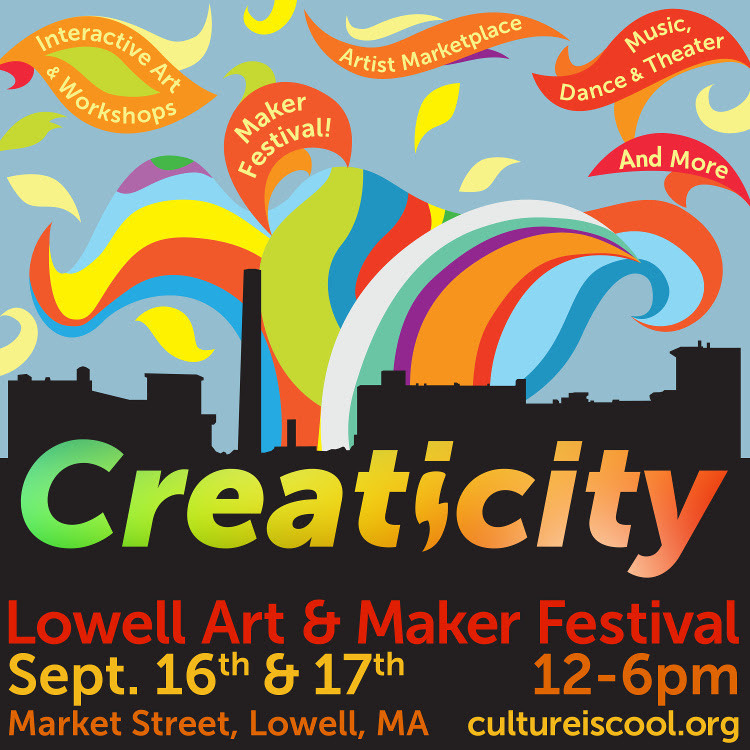 CREATICITY: Lowell Art & Makers Festival takes place on September 16-17, 2017 from 12-6pm (Eastern Daylight Time) each day on Market Street in beautiful downtown Lowell. Previous Post New Brachman’s Underworld Cover!